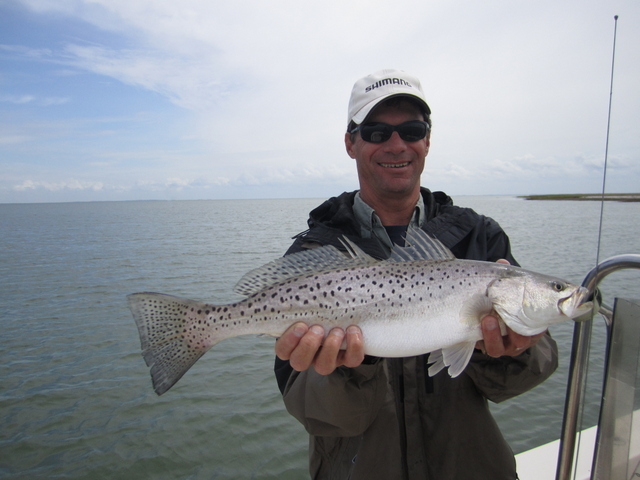 Speckled trout have been a hot topic, of late, as well they should be. 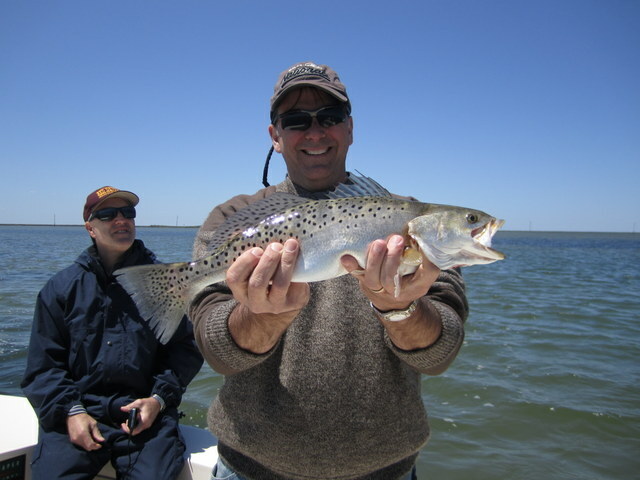 Catches of this colorful, aggressive, toothy, temperamental, head-shaking, shallow-water cousin to the weakfish have been off-the-charts good at times this spring. Perhaps a brief history lesson is in order. Back in the day (1993 to be exact) – the year I started my guide service – specks were my bread & butter. 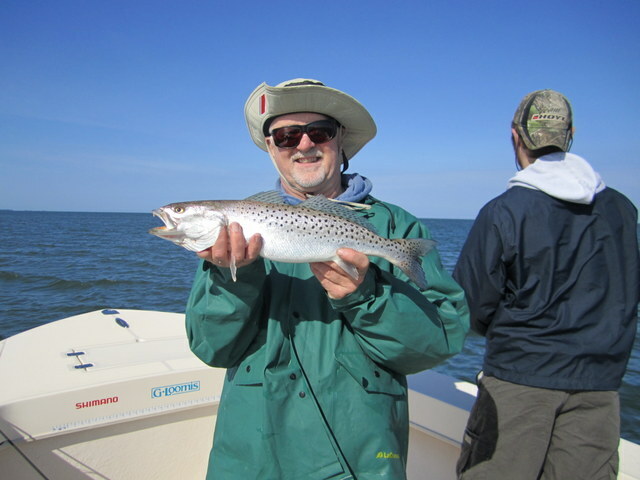 At the time, there were only a handful of small-boat, fly & light-tackle guides plying their trade on the main-stem of the Chesapeake Bay. 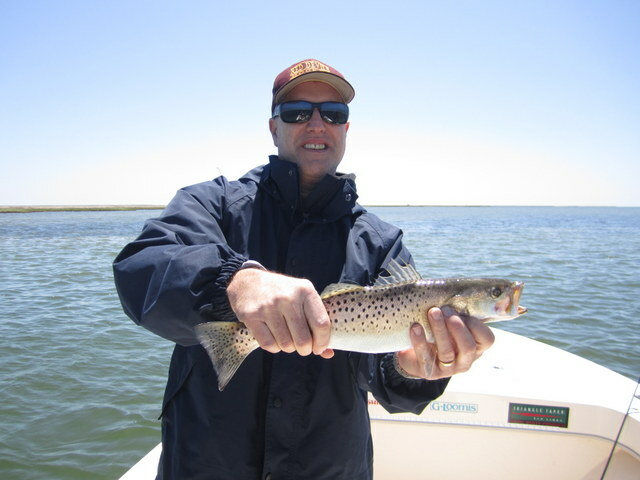 While bass guides were having great success fishing the brackish river systems for largemouth bass and panfish, the bay’s saltwater scene was still happily chugging along on the 40-foot charterboat train. Guides like Capt. 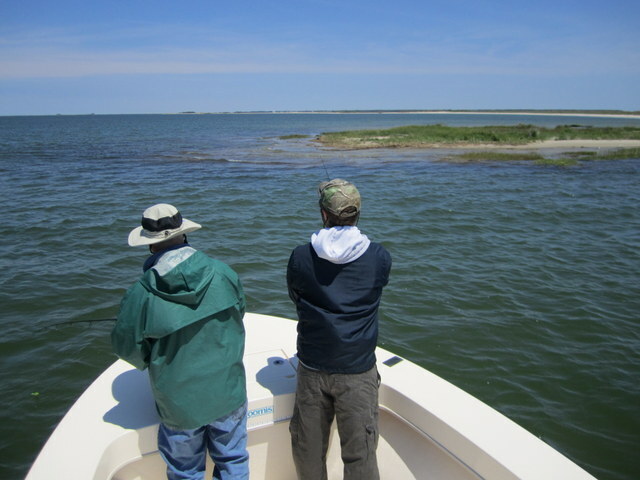 Mike Murphy and myself pretty much had the speck fishing all to ourselves. 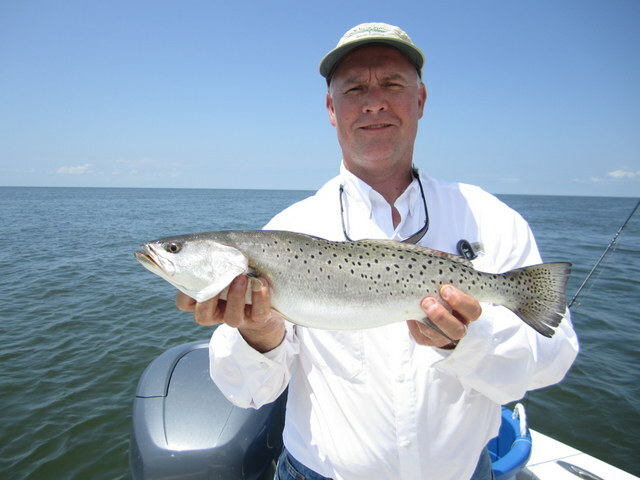 Back then, we may have even taken the great speckled trout fishing for granted. It seemed like there was no end to their abundance – until the end came. For maybe six or eight years the speck population took a powder. 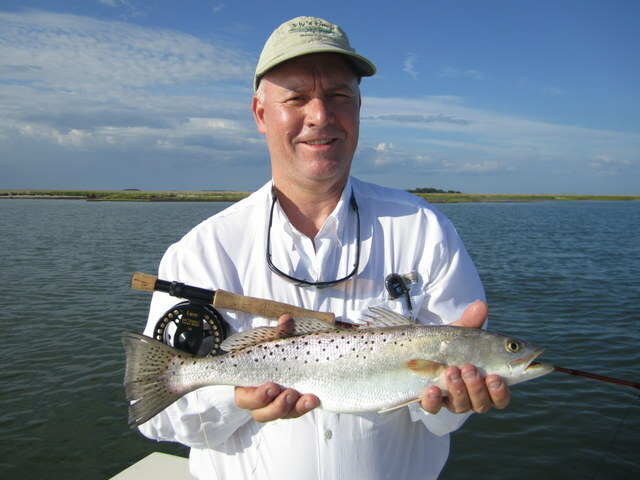 While Tangier Sound would still have a brief fall run, for more than a few years the spring run was non-existent. Cold winters in North Carolina resulted in several large fish kills; coupled with the cyclic nature of the species, the population dwindled. 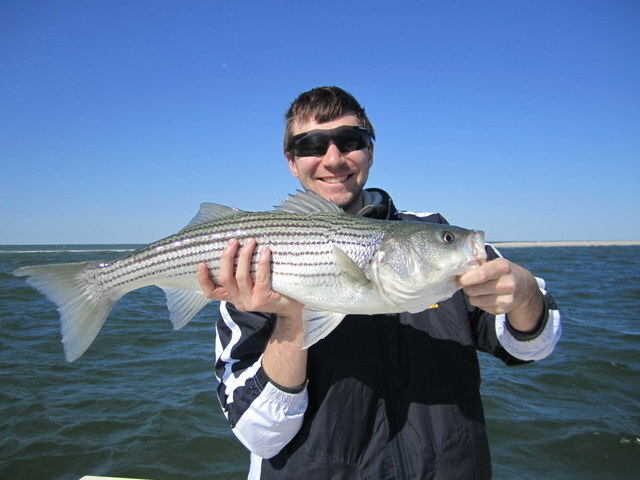 Shallow water anglers soon turned their attention to more abundant species like striped bass, bluefish and flounder. Well, now the specks are back and in a big way. Several above-average spawns, along with mild winter weather, have brought this angler favorite back to levels not seen in over ten years. 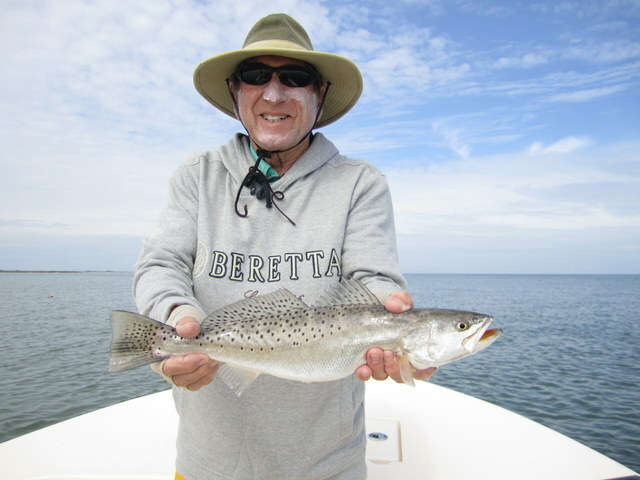 In fact, there have been many days where my clients have caught more speckled trout than rockfish. Let’s hope the trend continues! 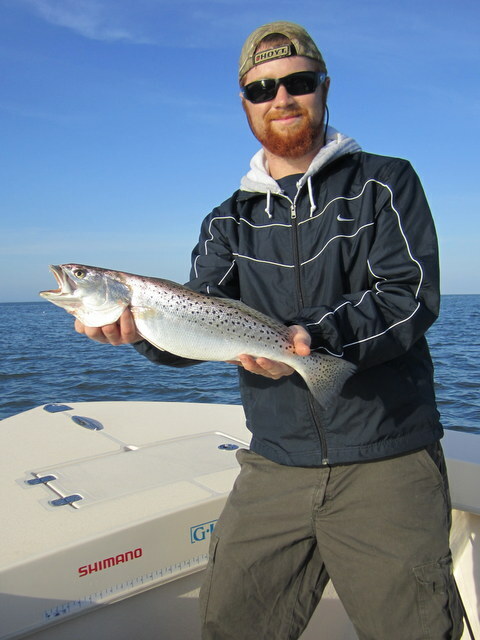 After a whirlwind tour of the Chesapeake Bay I am finally back home, casting to speckled trout on the crystal clear flats of Tangier Sound. 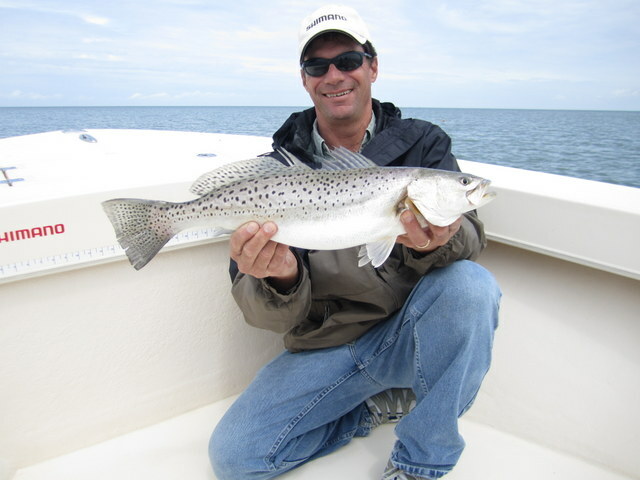 On my first trip back I was greeted with some beautiful specks to 21-inches, along with a smattering of schoolie rockfish. 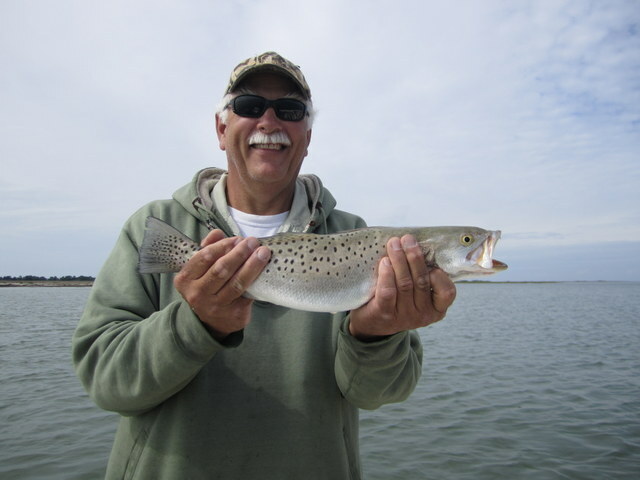 It’s my feeling that the specks will provide us with some great fishing until their departure in late October. 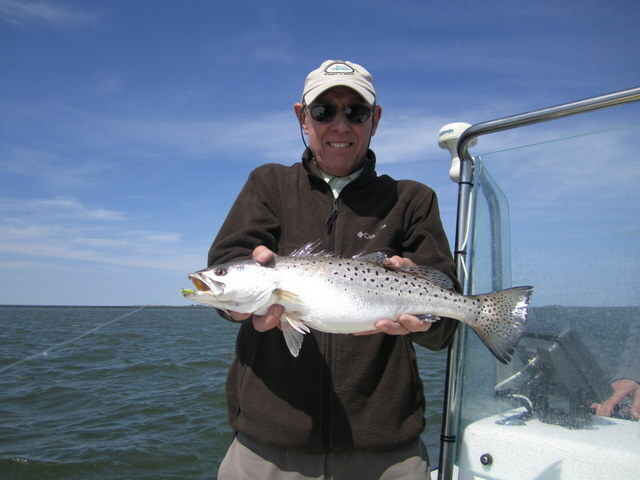 Right before I returned to Tangier – and just three days since the completion of a fantastic Susquehanna Flats C & R season – I made a short four-day stopover to Fisherman’s Island, VA. Here we sight-cast to schools of monster red drum and big stripers. While this fishing is not for everyone – with long periods of watching and waiting – we did manage to bag a couple of trophies. For Ray Wasdyke his persistance paid off with a 46-inch bull red drum that would have pushed the scales to over 47-pounds. What made this catch so remarkable was that Ray landed the red on a 9-weight fly rod. A world-class catch by anyone’s standards. Congratulations Ray! 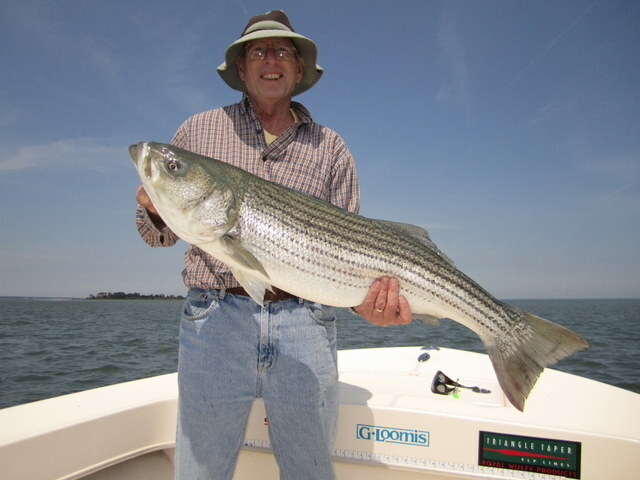 A day earlier, Harvey Conard watched a school of big stripers cruise the nearby flats for perhaps fifteen minutes before coaxing one away from the pack with a bucktail/twister combination. After a game fight we slid the net under a gorgeous 40-inch rockfish. The stripers looked just like a school of cruising bonefish (big bonefish) on the clear, shallow flats surrounding Fisherman’s Island. 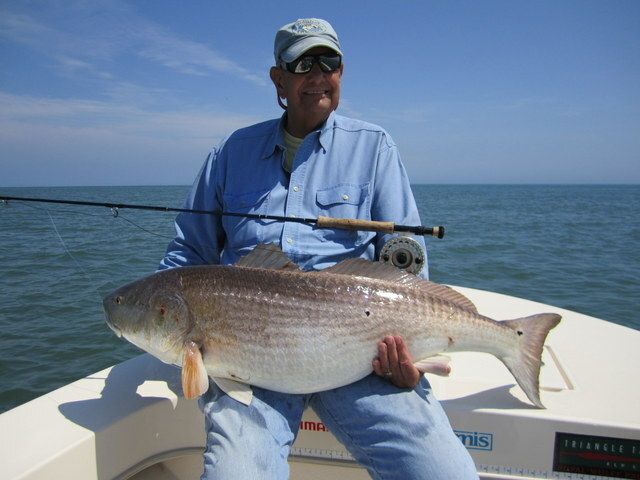 Ray Wasdyke with his trophy 46-inch red drum on fly – World Class Catch!! In the next issue I will take a brief step back, with highlights from a very good Susky Flats C & R season. Stay tuned! !